• Between 1971 and 1988, 39 patients were referred because of local recurrence of soft-tissue sarcomas and data from their patient records were analyzed to determine the parameters governing local recurrence. Mean follow-up was 11.1 years, with a mean time to local recurrence of 22 months. Twenty-one patients had local recurrence only, without metastatic disease. Salvage was provided for 14 (67%) of these patients after reexcision of local recurrence, and all 14 patients remained free of disease (mean follow-up, 112 months). 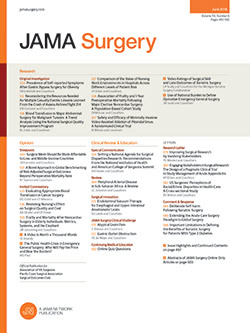 We conclude that (1) excisional biopsy of tumors larger than 3 cm leads to potential contamination of clean tissue planes, limits ability to achieve an adequate margin of resection, and may compromise the definitive excision, and (2) in patients with local recurrence only, there is a high rate of long-term salvage (67% for follow-up of 9.3 years) after radical compartmental excision with or without postoperative radiation therapy.